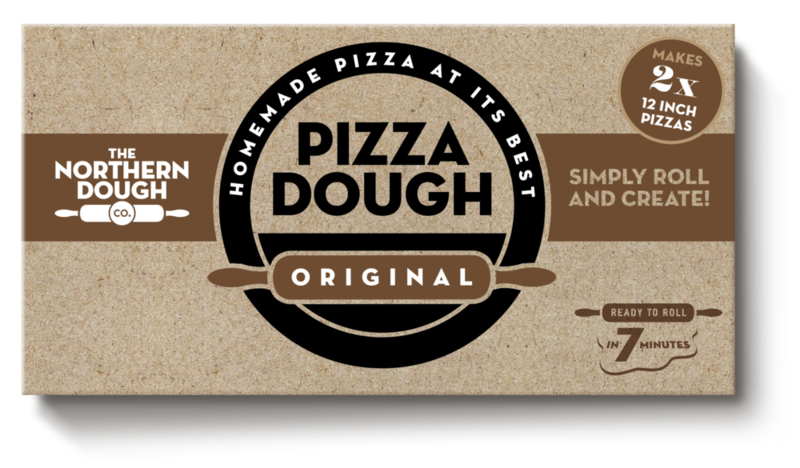 Wholemeal Pizza Dough — NORTHERN DOUGH CO.
Our wholemeal pizza dough was created on the request of customers at food festivals, who wanted something different from their home made pizza. Made with flavoursome, nutty wholemeal flour, it’s a firm favourite that adds lots of flavour to your freshly baked pizza. Great with any style of toppings, it also makes fantastic freshly griddled flatbreads, simply heat a dry non-stick pan until very hot, then add rolled pizza dough (shaped into smaller pieces if you prefer) and turn regularly until charred in spots and cooked through. Pile up with fridge leftovers and have yourself a delicious lunch! For lots more ideas, click on our recipes section or follow us on social media for daily inspiration. Wholewheat flour, Milk Powder, Olive Oil, Sugar, Yeast, Water, Salt. Not guaranteed to be nut free. Storage instructions: Keep frozen, defrost before use.